ICE Contractor CoreCivic Says It Doesn’t Use Solitary Confinement. Photos Reveal Otherwise. ICE Contractor Says It Doesn’t Use Solitary Confinement. Photos of Its Isolation Cells Reveal Otherwise. March 22 2018, 4:30 p.m.
For more than a year, the private prison giant CoreCivic has asserted over and over again that it does not use solitary confinement. To help prove its point, CoreCivic sent me a list of services available to the detainees it holds in isolation, which includes access to the law library, meals, the facility barber shop, mail, shaving, pay phones, visitation “without mechanical restraints,” and one hour of outdoor recreation per day. But experts who reviewed CoreCivic’s list said its spartan offerings appeared consistent with solitary confinement. This brought me to a basic question: Is CoreCivic being honest about its detention conditions? In November, I received a call from a Bangladeshi immigrant named Shoaib Ahmed, who was detained at an Immigration and Customs Enforcement detention center run by CoreCivic in rural Georgia. Earlier that month, CoreCivic placed Ahmed in an isolation cell for 10 days as punishment for allegedly encouraging his fellow detainees to stop working in a facility kitchen. Prolonged solitary confinement is widely recognized as a form of torture, and during his time in isolation, Ahmed said he feared for his psychological well-being. In addition to severe isolation, Ahmed spoke of being subjected to restrictive treatment in segregation that might be expected more for a violent criminal than for an immigration detainee under punishment for encouraging a work stoppage: When he left his cell, officers escorted Ahmed around the facility in handcuffs, he said, including for his one hour of outdoor recreation in what he called a small “cage” built for a single person. Ahmed’s description of harsh punishment for a minor infraction was striking. Yet in response to my questions about the treatment of Ahmed, CoreCivic issued an oblique denial: The firm asserted that it does not use “solitary confinement” at all, telling me that I would be misleading the public by using the term in my reporting. CoreCivic said it instead uses “restrictive housing,” a phrase that carries a far softer connotation, for its practice of segregating detainees in small cells away from the general population. To help resolve the disagreement over terminology, I asked both the private prison company and ICE to provide me photos of the isolation cells. If the firm’s list of services didn’t help CoreCivic’s case, perhaps photos of the cells in question would; maybe the cells weren’t as isolating as Ahmed had described. 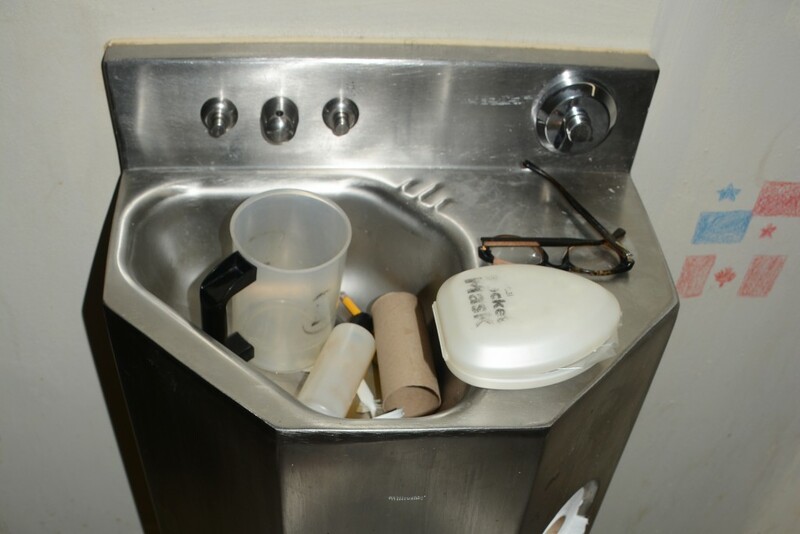 But both CoreCivic and ICE refused to provide me with any photos of the “restrictive housing” cells. 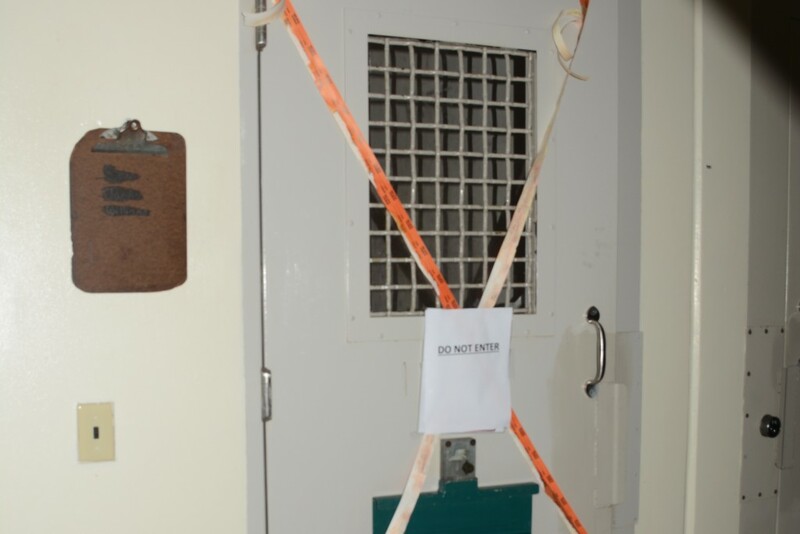 Instead, The Intercept obtained photos of a CoreCivic solitary confinement cell from the Georgia Bureau of Investigation, through a Georgia Open Records Act request. The photographs are from the state police agency’s case file on its investigation of the death of Panamanian national Jean Jimenez-Joseph. On May 15, 2017, 27-year-old Jimenez-Joseph was pronounced dead after hanging himself inside an isolation cell in the CoreCivic ICE detention center in Lumpkin, Georgia. Shortly afterward, it was revealed that ICE had locked Jimenez-Joseph in solitary confinement for 19 days prior to his death. “Whatever they call it, this cell can only be used for solitary confinement,” said Juan Méndez, a professor of human rights law in residence at American University, who previously served as the United Nations special rapporteur on torture. “It is clearly unsuitable for more than a few hours,” Méndez said of the cell. CoreCivic services available to detainees held in “restrictive housing” cells. 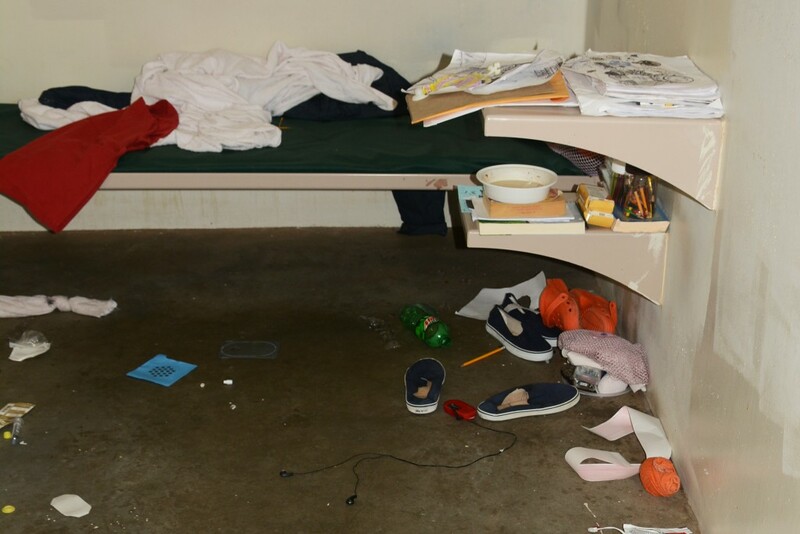 In response to a request for comment on the photographs, a CoreCivic spokesperson said, “We stand by our extensive previous comments to you on this issue,” and suggested I contact ICE for more information. ICE provided The Intercept with a brief comment defending its segregation policies in broad terms. In an email, ICE spokesperson Tamara Spicer wrote that the agency’s detainees in segregation are composed disproportionately of individuals with serious criminal convictions, and that its rates of isolating such detainees are substantially lower than at the country’s jails and prisons. 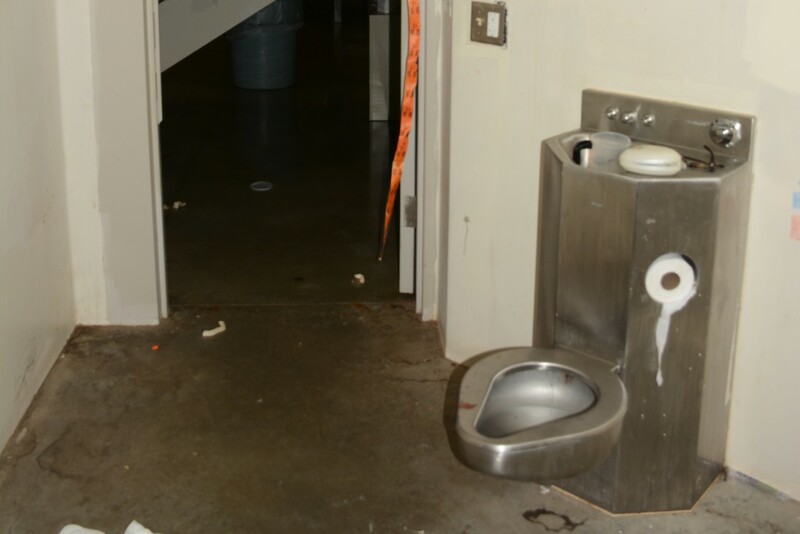 Top photo: The Stewart Detention Center in Lumpkin, Ga., on May 4, 2012.